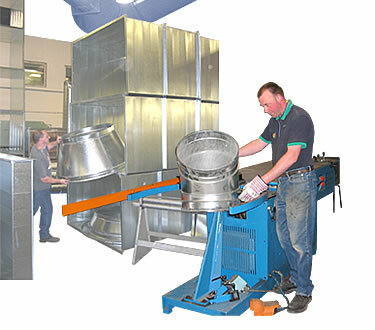 Interlock Ductwork is a well established business having been formed in 1989. Being based in West Bromwich, West Midlands closely situated to both M5 & M6 motorways giving us an ideal location to serve both north & south of the country. We offer a complete package from initial quotation, to drawing preparation through to manufacture and installation, employing a fully experienced local workforce. Our office personnel use industry specific computerised estimated/quantity surveying packages, and our contract engineers produce manufacturing/'as-installed' drawings both manually as well as on AUTOCAD computer software.